Being an agency of social media marketing in Kochi, we make sure our clients get what they deserve with the best exposure to market their services and products. We make sure the audience we engage with maintains high quality and most of them are converted to clients. 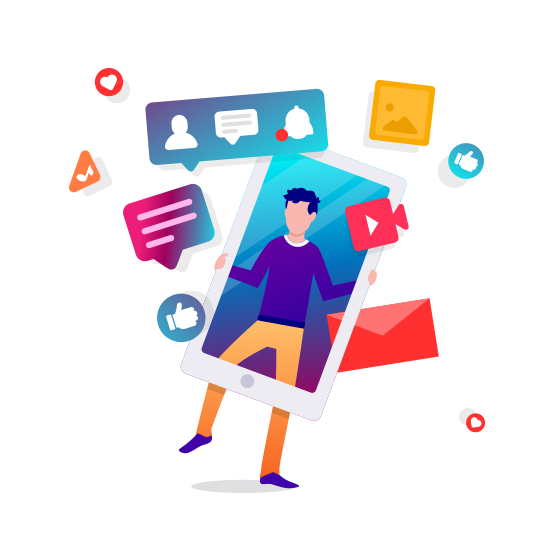 Generating leads for our clients is the major challenge faced by social media marketing in Kerala and we know how to deal with each client so as to tackle any hurdles. Having an active brand transforms your business. This is exactly what we at Hemito do and as active social media marketing campaigns hit the target, you witness unprecedented business growth that helps you harness social media engagement. When we are involved with the social media marketing in India, we have the professionals onboard to give you sure shot success and accelerate your business. Create a social media marketing strategy so that when the project plan outlines the business goals, you are boosted to the top of social presence. Having a keen eye, our analysis and reporting bears the right fruit and campaigns and goal tracking bring you the best planned results.